I recently found this photo (in a home made frame!) 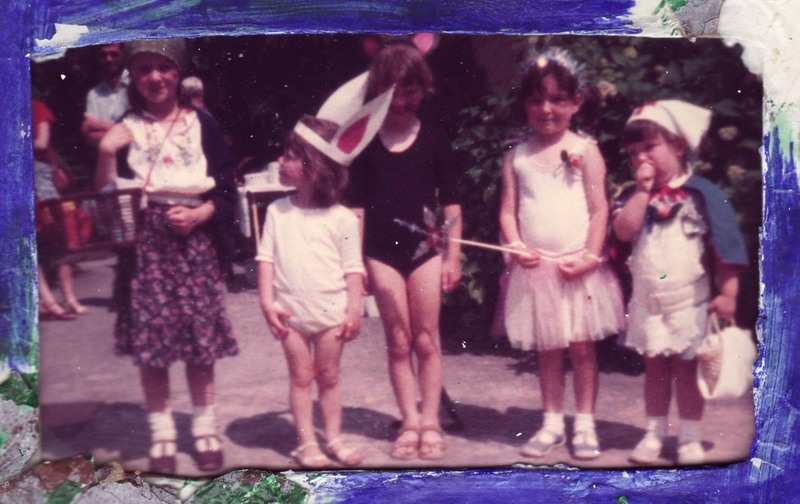 of me, my sister and three friends at a fancy dress party when we were children. Check out the sandals and socks – easily the scariest part of our outfits!